Mount Everest and its climbing history, still retains a keen interest within the mountaineering community and the general public, none more so than the early attempts in 1921, 1922 and 1924. The members of those expeditions have had many books written about them; Mallory, Irvine, Morshead, Somerville, Finch and Noel but until now no volume has appeared about the part played by Colonel Teddy Norton in the 1922 and 1924 parties. A career soldier, an officer of the Royal Field Artillery, how he became selected for the 1922 expedition remains to this day unclear. He was related by his mother’s family to Sir Alfred Wills, who was a founder of the Alpine Club and who made the first ascent of the Wetterhorn, but more famed for his role as the judge who sentenced Oscar Wilde to two years hard labour for gross indecency than his climbing record, impressive as it was for the part he played in the golden age of Alpine exploration. Wills had a chalet built in the Haute-Savoie in the Vallee des Fonds as a retreat, and it was on family visits to this facility that Norton learned to climb, along with his three brothers. However in 1922 his Alpine record was ‘thin’, and the very few ascents he had made on the higher peaks above the Chamonix Valley, mainly on the Aiguilles were with guides and he was yet to be elected a member of the Alpine Club. However those who knew him were impressed by his calmness and decisive character, perhaps developed by his experiences in the 1914-1918 war which in surviving he remained a statistical miracle. For He soldiered at the Marne, Aisne, Ypres, Loos, and the Somme, and he was awarded every medal for gallantry and combat save for the Victoria Cross, and he emerged from the war with a certain quality of being, a serenity and a confidence that would stand him in good stead on Everest in 1924 when the ill health of General Bruce, the appointed leader, forced Norton to take over in his place. 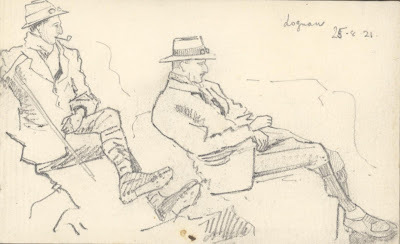 By 1922 Norton had seen much army service in India, and probably his linguistic abilities and familiarity with some of the dialects of the expedition porters stood him in good stead. Physically he must have stood out against such, for at 6 feet 4 inches, thin and spare he was unusually tall for his generation and at 38 years old; it is again surprising that he was selected to take part. It is interesting to me that the Everest Committee had all the expedition members medically tested before departure. I do not think we even considered doing that in my generation. Another matter that I do find surprising is that although the early Everest expeditions were made up of climbers, used to climbing in the Alps with guides, they never thought of taking some of them to bolster their technical skills on Everest. Yet they did achieve some impressive results, two parties reached 27,000 feet in 1922, Norton, Somervell, and Mallory without oxygen, while Finch and Geoffrey Bruce reached 27,300 feet using oxygen. The 1922 attempt came to a sad end when below the North Col, a party made up of Somervell, Mallory and Crawford, with thirteen Sherpa porters was avalanched, in which seven of the Sherpa’s died. I have read previous accounts of this event, and it seems that some feel that Mallory was to blame, for although there had been a heavy snowfall, he was determined to make one final summit bid. However surely the other two climbers involved, and the leadership were equally to blame for they were too late on the mountain by that time and into the monsoon season, and yet they had agreed to this going forward? 1924 Everest was Norton’s truly impressive effort, although by then 40 years old, he had to take over the leadership when the leader General Bruce had to turn back during the approach march due to an attack of Malaria. 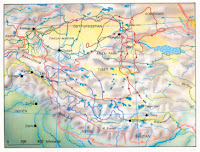 The approach through Tibet during those early expeditions was a challenge in itself, taking four to five weeks and even today travelling in that country can still be demanding. The 1924 party was made up of some of the same climbers as 1922, and Norton climbing with Somervell without oxygen reached solo, after his partner had been forced to give it best due to breathing problems, to within a 1000feet of the summit. A height record that stood for fifty-four years until in 1978 when Messner and Habeler climbed the mountain without oxygen to the summit. The failure of the Norton/Somervell bid led on to a determination by Mallory to have one more go at summiting, for which he decided to use oxygen. 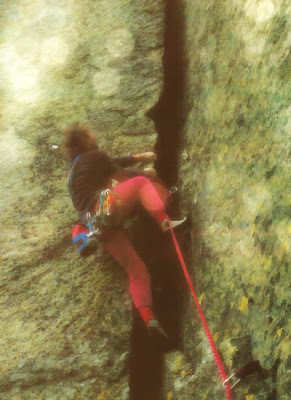 He chose as his partner the relatively inexperienced climber, but excellent oxygen practitioner Sandy Irvine. 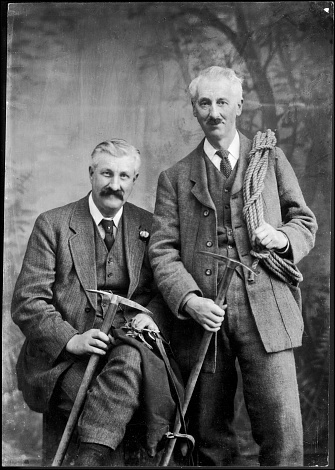 The story of Mallory and Irvine’s attempt, and how it ended in their tragic disappearance is now one of the most discussed and fantasised events in mountaineering history; plays, books, films have all entered into a guessing game, of ‘did they reach the summit?’ Norton was certain that their deaths had been caused by a climbing accident, and he was vindicated in this view by the discovery of Mallory’s body in 1999, lying low on the slopes of the north face with the rope which was still tied around his waist broken a short distance from his body. In the face of this tragedy Norton as expedition leader was however praised not only for his high altitude achievement, but in the way he handled events surrounding the accident, and its aftermath in liaising with the lost climber’s families and friends, in dealing with the media and for his overall qualities of leadership. 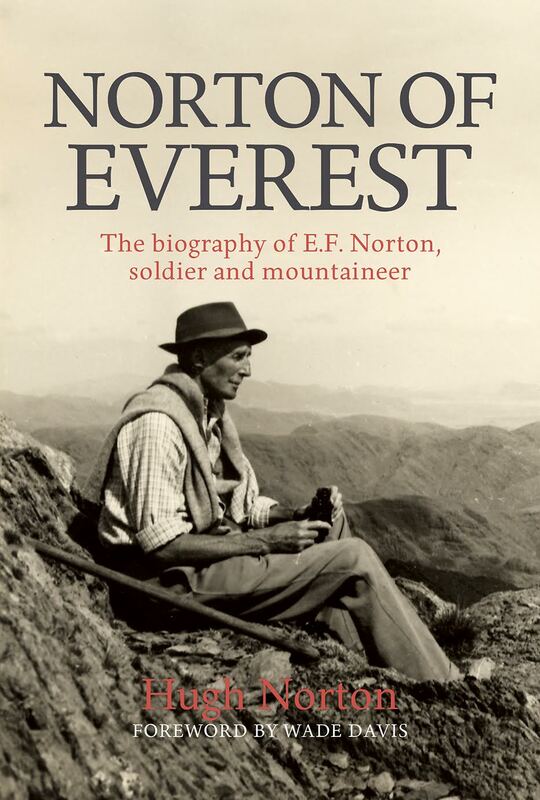 Somervell and a later Everester, Dr Mike Ward (a member of the successful 1953 party) recognised Norton as ‘probably the best of all Everest leaders’. Various things flowed from the Everest Expeditions in his later life, the 1922 party were awarded Olympic Gold medals in the winter of 1923-1924, he was elected to the Alpine Club and he was given the RGS’s gold Founder’s Medal in 1926. He was also considered as leader for two of the later Everest Expeditions in 1933 and 1935, and even Presidency of the Alpine Club in 1946, but he turned all such down for his military career took precedence. A significant outcome of his temporary celebrity as a mountaineer was the naming of a peak in the Canadian Rockies in 1927, Mount Norton 10,200feet, by an American climber Alfred Ostheimer (who named another of his first ascents Mount Somervell) . I have not noted Norton’s other interests, like Somervell he immersed himself in painting and sketching, but he also was something of a caricaturist and the book contains many examples of his work. 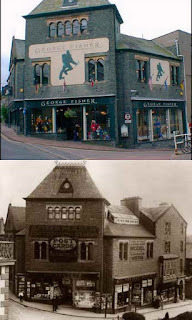 These illustrate very much the interests and the gentle humour of his times. He was also a keen naturalist and collected hundreds of botanical specimens whilst taking part in the Everest expeditions. However apart from a few later Alpine ascents, and hill walking in Scotland; Norton did not go on to make any more Himalayan journeys. He slowly ascended the army promotion ladder finishing as a Lieutenant General, having held many command posts in India. He started his career at the pinnacle of the British Empire; but slowly over his decades of service he witnessed its slow disintegration. He was a man of his times, although interestingly he had been born in Argentina where his father was a shipping line and estancia owner. But grew up in England, and was schooled at Charterhouse (which he disliked) and entered RMA Woolwich which was then the school of artillery, before becoming a commissioned officer. In 1940 he acted as the governor of Hong Kong for a short period, appalled on arriving there at the lack of preparations against the possibility of a Japanese invasion, whose troops had already conquered huge swathes of eastern China. He immediately set about preparing air raid shelters to protect the civilian population, organising the drilling of caves into the nearby mountains to do this and trying to alert London to the seriousness of the situation. He did leave the colony before the Japanese occupation, and eventually after a brief period back in Quetta, where he commanded that garrison; he was recalled to England and the War Office. I found whilst reading this book a growing questioning, why it was that Norton who was obviously an accomplished and kind person, and his fellow rulers of the Empire never seemed to understand, that such as Indians, Chinese, and the other subject people did not wish to be ruled by the British or anyone else for that matter? At least if they did, they never seemed to have declared that this was so. Knowing China like I do, I am always amazed that after the opium wars and the forced treaties imposed on that country, which is how Britain gained Hong Kong, that we are not pariahs when we travel and work amongst them. Norton, true to his station in life was a monarchist, and a social conservative, and like the rest of us a product of his environment. I enjoyed reading this book, and to anyone interested in the early Everest expeditions, and in a wider context the tumultuous events of the 20th century which changed all our lives, particularly the two world wars, I believe they will like me be both educated and held by reading this timely Norton biography, by one of his surviving sons. I guess writing about such a distinguished parent must have been difficult, but I think there is a degree of separation helped by the passage of time from the events described, that the book avoids becoming a hagiography. Available to Pre-order direct from Vertebrate. A few years ago a whole edition of the fine German magazine `Alpinismus' posed this ques-tion. Today it is of particular relevance to English and Welsh rock climbing, which seems to be on the way to becoming a football match in reverse -all performers and few spectators. Awakening from an afternoon siesta on a hot June day, the shouts eho round the cwm above Llyn du'r Arddu. They are colourful adaptations of the textbook sterilities taken from the accepted climbing manuals, punctuated by the rattle of stones in the central descent gullies. A kicker usually wears a crash hat and shouts 'Below!' after his stone has made its satisfying clatter down the middle rock. All good textbook stuff. And there is a book to tell you where to go once you know how, and even before, if you wish. The green turf below the East Buttress is swiftly disappearing, leaving loose earth and stones, although the faithful spring continues to refresh an increased clientele; even in drought conditions. How many climbers are up there on a fine June Sunday? Fifty are apparent on the lower area of the West Buttress. There is someone on most things on the East and no doubt others lurk in the East Gully and on the Far East. No one climb seems of importance. By the lake the sun is hot, and the isolation, once out of the grey shadow of the cliff, is splendid. There are too many up there whatever the count. The cliff has lost its impressiveness and the climbing has lost its point. Perhaps Llech Ddu is quiter, but if there is new stuff to be done and the Holliwells are doing it, that is unlikely! How come there are so many of us? Baden Powell's mild equivalent of the Hitler Youth introduced many to the open air life between the wars and after. Educational entrepreneurship in the new outdoor pursuits centres has augmented the movement, in size though perhaps not in quality. Schoolteachers anxious to escape onto the outcrops are probably even more culpable. It is good to see the young on the crags, though what the climbing community will do to their characters I shudder to anticipate. The chiselling of holds and names has reached new peaks on Gritstone. Long established problems are destroyed, or rendered impracticable by the shelter building activities of little boys (Roches). We are back to the old problem of freedom and responsibility—Baden Powell did stress that! Knowledge that climbing is possible is not enough. We can afford to do it, to spend on the vehicles or travel; we can afford the energy too, though one does question this on some Monday mornings. The vehicles crowded below popular cliffs are no longer uniformly battered vans and motor-cycles. Once the Hon Rotterslay's weekend excursion to Derbyshire in an E-Type Jaguar caused widespread gossip. It might be less extraordinary now. Basically we still seek the high drama, a contrast to a world where life is entirely conversation, while alternative tasks are obscured by the discipline of fulfilling a (sometimes not so) reasonable objective, and completion gives its own short term satisfaction. Then there is the gear, attractive looking, limited by weight (to some degrees by accepted norms), but increasingly complex and increasingly used. Most hard climbs can be wholly or partially reduced to boulder problems. Pure practice of free climbing is widely distributed at a high standard, but the numbers of climbs resistant to new methods of protection are growing fewer. Double-think on the climber's part is probably easier now than in the past, when the distinction between. free and artificial was much more clear-cut. Now there is less dependence upon high morale and more upon technology. The degree of uncertainty when entering upon a big new rock climb is im-measurably reduced. It is exceedingly easy to over-estimate ones abilities, particularly in the margin between pretty good and excellent. Probably there are still few of the latter, for while many climb hard routes, there are few who innovate in boldness. Thus we are many and we are likely to become more. The gear sellers, the magazine producers, the manufacturers and the press, the educators and the interests of the pubs and cafes, all these will contribute to the growth of the numbers in the future. We swarm like flies in the summer months and, at worst, climbing can become a garish cartoon-like pandemonium. Some are able to operate in the week or in winter, but most will continue to depend upon the weekend, even if it becomes an extended period. One can climb in Scotland and avoid the crowd as yet—but for how long? Often it may seem scarcely worth the candle. The aggregation problem in climbing rock will turn many to broader mountaineering or other activities' (canoeing?) which require similar psychology. A few real misanthropes may give up and take to buttering the final jugs on a Friday evening before taking grandstand seats on the Saturday. 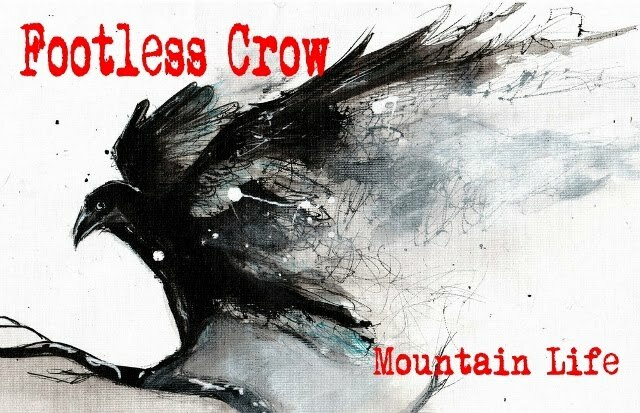 Some will get killed, especially if they continue to rain stones on one another on crowded days and if sages gaze into the Black Cleft and pronounce it authoritatively to be Longland's. But this will offer little prospect of reducing the climbing population as more women climb now. Thus the mass is likely to increase for years with replacements outnumbering the wastage. In this situation there will also be more people doing the hard climbs and the innovators who always balance on a knife-edge will be pushed one stage further.' If climbing `extremes' is really easier because of the protection', then the protection must go. Missing runners while leading endangers the second, so he must go. A rope makes retreat easier, perhaps it should go too. Thus on rock one can avoid aid, avoid the ennervating effects of the possibility of placing a nut every foot and being left with nowhere to put your fingers but in the slings. 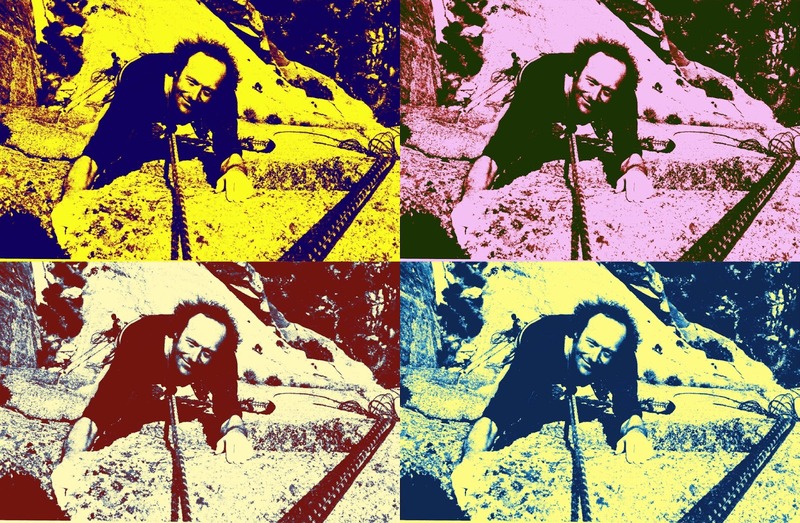 Thus one can climb genuinely free at the highest level of technique.' To many people this will sound foolish but it is essentially logical. It is dangerous to a greater degree than protected leading at the same grade but this alone does not make it unjustifiable. Justification must depend only upon the climber's assessment of himself, as long as he is not deranged. To solo revives the real relationship between man and rock which the insulation of protection obscures. Those who feel that modern aids are choking the sport are justified in reducing the insulation. To solo on hard climbs may be near rhetorical, but it is the most valid way of criticising the technology which supports so many of our stuffed shirts. This question seems deeply involved with that of numbers. Crowds would not exist on hard climbs without the technology. It is noticeable that the leading climbers who have taken to soloing do so sometimes for immediate practical reasons, but often they do so because they are both actors in and detestors of the climbing circus. They wish both to differentiate themselves and to excel in an overcrowded atmosphere. 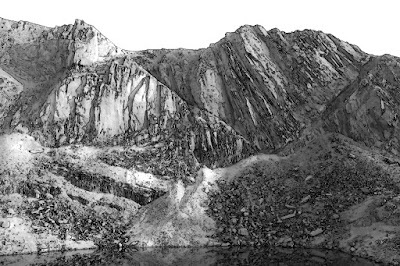 Innovators not taken with solo climbing will probably go further afield more often and get involved in mountaineering—even the biggest Scottish rock climbing seems to have slightly more laissez-faire than the English-Welsh system. For those not developing in these ways the traditional rock climbing south of the border looks increasingly sterile. All this links with the third major problem. A few years ago the soloists would have done more new routes instead. They still are among those who do new routes, but all too often their quality is lower than the average of the early sixties. Many are quite banal. For those who cannot be satisfied by the odd holiday away from the stereotyped areas there may well be only one solution—emigration! References : 1. Margins of Safety by H. Drasdo, The Alpine Journal, 1969. Does improved equipment and technique re-duce accidents? by K. I. Meldrum, Accident, Equipment and Miscellaneous Notes, The Alpine Journal, 1969. 2. 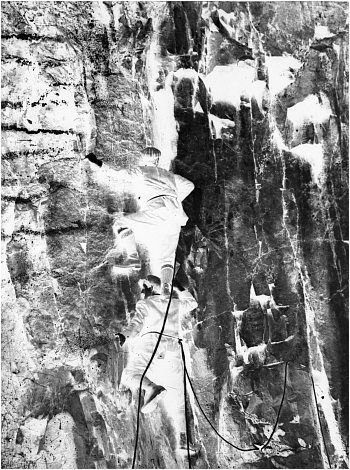 Games Climbers Play by L. Tejada-Flores, Ascent, May 1967; The Alpine Journal, May 1968; Mountain 2, 1969. The Game We Play by D. D. Gray, Rocksport, April/May 1969. 3. 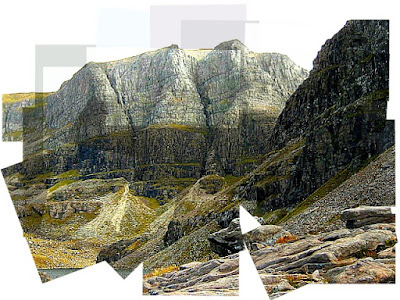 See description of the corner pitch on The Bat; Ben Nevis by J. R. Marshall, 1969. 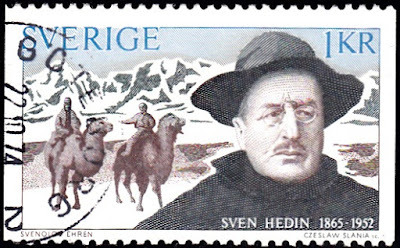 In ten journeys in Xinjiang, formerly known as Chinese Turkestan, and three in Tibet, a name that I noted which appeared again and again in their recent recorded history is Sven Hedin, the Swedish born geographer, explorer and much more. Of the figures who investigated the antiquities and history to be found in their caves, deserts and mountains, and who would seriously translate his journeying into maps of these regions, his story eclipses those others involved in the so called ‘Great Game’ between the Russian and British empires. And the race to re-discover the story of the lost Silk Road oases and their relics on the fringes of the Taklamakan and Gobi deserts. Born in Stockholm he was the son of the Chief Architect, but from being a boy, having observed the return to the City of an Arctic explorer, and the adulating crowds, he decided he too would become a famous traveller. It seems few have ever pursued this ambition with such single minded determination. The list of languages he eventually commanded, a dozen or more, including Persian, Tibetan, Kirgyz and Turkish and, his studies in Sweden and then Germany from 1889, in first Berlin and then Halle-Wittenberg, studying under two of the outstanding geographers of the era, Von Richtofen and Kirchoff; these connections were to frame the rest of his life, for good and eventually for ill. It was the former a leading sinologist who coined the designation ‘The Silk Road’ for that famous trade route. Hedin (pronounced Heedin in Swedish) began his travels at an early age; he was attracted most by deserts and mountains. At the age of 20 he was to be found in Persia and a few years later he was back there as a member of a Swedish group, from which he and three members climbed Mount Demavend 5,671m which is the highest peak in the middle east, and is a former volcano. 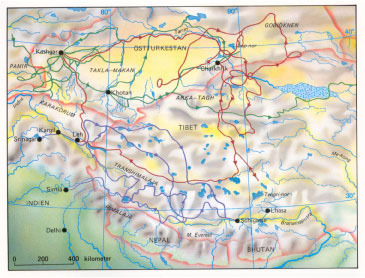 An easy climb technically but nevertheless in 1891 seen as an outstanding feat, he subsequently after this successful ascent set forth and journeyed along the Silk Road to Kashgar and reached the western fringe of the Taklamakan desert. To those who know nothing about the deserts of the world, then this is one you would think twice about trekking deeply into its dune and sandy wastes. 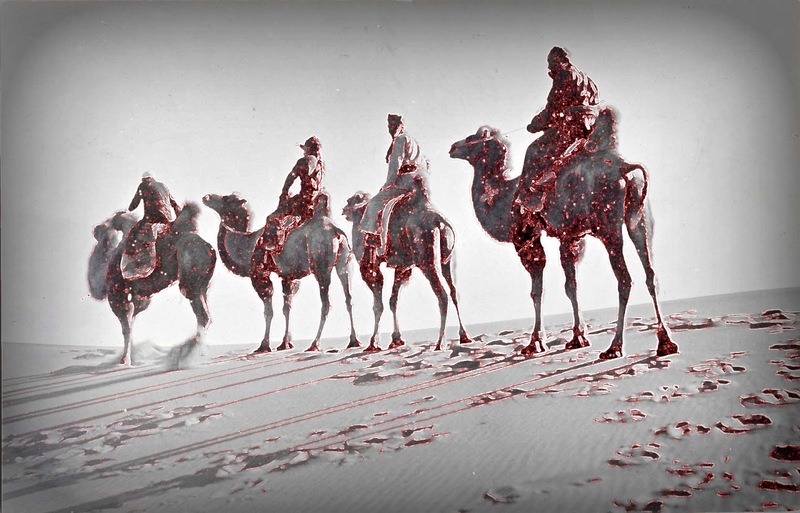 The name means in the Uighur language, a form of Turkish, ‘you go in, but you do not come out!’ And crossing the fringes of this either by the northern or southern route was the crux passage for The Silk Road caravans, sometimes made up of a thousand camels or more; which on occasion just disappeared, buried in the notorious sand storms which occur in the Taklamakan. Hedin was not the popular image of the strong man explorer, he was of small stature, with a bookish bespectacled appearance, but he possessed a single minded ruthlessness in pursuing his goals, and he survived so many close calls during his expeditions, that one must wonder if his craving for recognition and approbation did not on occasion cloud his decision making. 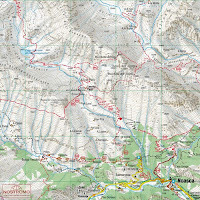 Between 1894 and 1908 in three daring expeditions he explored and mapped huge areas of Xinjiang and Tibet unexplored until then. Surprisingly in 1894 he made the first attempt to climb one of the world’s high mountains, Muztagh Ata 7509m; the second highest of the peaks which form the northern edge of the Tibetan plateau. Kongur 7649m is the highest, and physically connected to the eastern end of the Pamir range. The Karakoram Highway now passes close to both these mountains, and at the Karakul Lake near the base of Muztagh Ata a famous mountain panorama can be viewed. 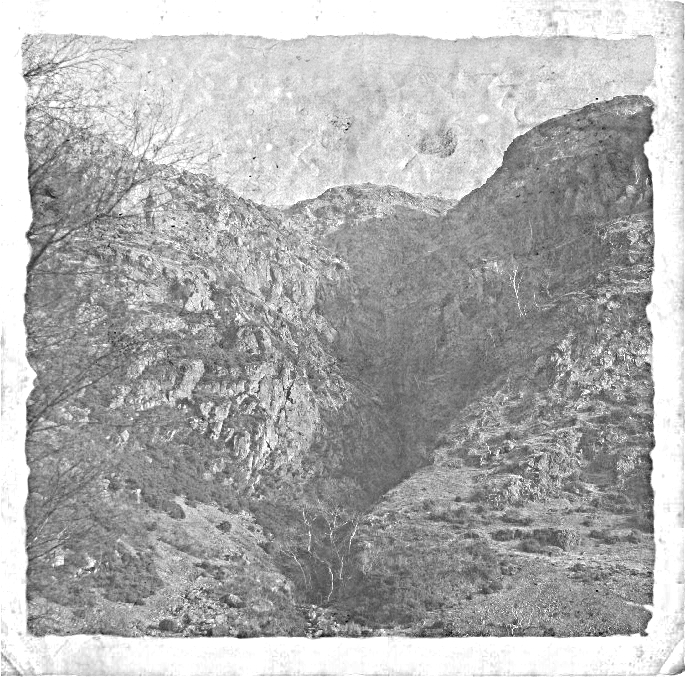 But this was in the future in 1894, and there was misunderstanding subsequently as to which route/s Hedin had attempted on the mountain. This was compounded by Shipton and Tilman, attempting the peak by its west ridge in 1947 believing that this was also the route that the Swede had essayed. 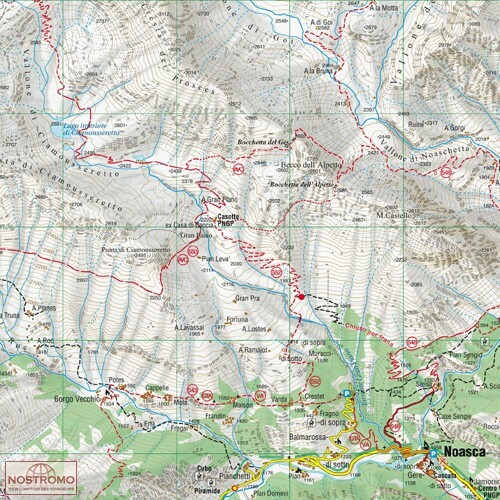 His were made firstly to the west of their attempted route, which has become the voie normal to climb the mountain, by the way of another ridge which would have landed him on the summit of the subsidiary peak of the mountain if he had been successful, and secondly an attempt on a steep rib to the east of their route. 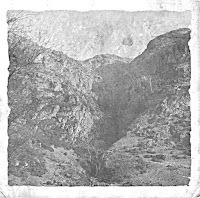 A Swedish expedition followed his attempted routes in 2014, led by Lars Larsson, and from comparing their pictures with Hedin’s they realised his first attempt on the peak had reached over 6000m, which at that date of 1894 was the highest anyone had ever climbed. (Probably it might have been equalled the following year on Nanga Parbat by Mummery and his Gurkha companions). Muztagh Ata however is one of the easiest high mountains to climb; it was first ascended in 1956 by a large party of Russian and Chinese climbers by the Shipton/Tilman route of the west ridge. And in 1980 a party of American’s led by Ned Gillette made a ski ascent/descent also by this way which has subsequently become popular. Hedin managed much of his ascent to over 6000m riding on a yak, but even so his camping and clothing equipment were rudimentary, and his companions were locals with no mountain climbing experience. I guess that Shipton and Tilman’s misunderstanding of his attempt, which in their report they downplayed, has subsequently deprived the Swede of the historical kudos he deserves? 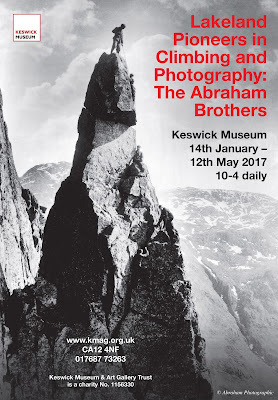 His three expeditions before the first world-war were some of the most important in the history of exploration, and his books about his travels, his photographs, his water colours, and lectures made him a figure of world renown. I think what impressed his fellow geographers was the way he made good on his explorations by producing exquisite maps of these areas which had previously been ‘white’ on previous such publications. In all he mapped 10,498kms on 552 sheets, and I have been privileged to see some of these kept under lock and key in the Museum of Ethnography in Stockholm. They are works of art and I would like one of them to be framed and on my living room wall to be viewed as such. For those who are thinking, Sven Hedin ‘no one is interested in him now?’, as recent as August 2015, a re-issue of his autobiography, ‘My life as an explorer’ prompted an article in the Guardian, which advised that this book was ‘a nail biting read’, including highlighting his horrific attempted journey within the Taklamakan desert in 1895. 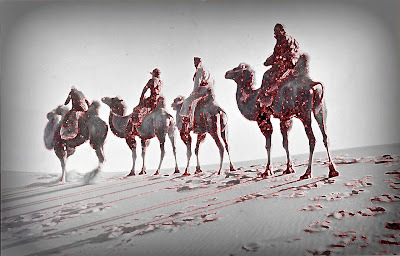 ‘Once you have read Hedin’s account of what happens to the tongue and throat when the body is deprived of water, you’ll never wish to read another!’ This event brought home to Hedin the danger in relying on only local advice, for he was accompanied by four camel drivers and their beasts from Kashgar, and the decision on how much water they should carry proved inadequate. It ended with most of them dying; whilst Hedin pushed on to find water, then, returning to discover he was too late to save them. He returned later with sufficient supplies and successfully crossed the desert, but it was this ruthlessness which made critics, accuse him of having an ‘Ubermensch’ view of exploration as ‘a struggle against the impossible’. Nevertheless his explorations in the Tarim basin in the Oases of the Gobi and the Taklamakan exploring such as the Lop Nur region of the former settlements along The Silk Road were impressive. It was not until his third expedition that he finally was allowed to explore in Tibet. One area above all others that attracted him was in the West of the country, around Mount Kailash 6638m, a mountain which looks like a huge Tetrahedron which on occasion because of snow and weather conditions, a huge face appears on its slopes most apparent to the worshippers. This is the most holy of mountains to Hindus, Buddhists, The Bon (Tibet’s ancient religion) and some others. Because of this it has never been climbed, but pilgrims visit from many countries to undertake a Parikarama, a circulation of the Peak’s base. It is thought that Hedin was the first Westerner to complete this? He also discovered the source of the Indus, and laid claim to have found those of the Brahmaputra and the Sutlej rivers as well, all so important to the millions of people living downstream. 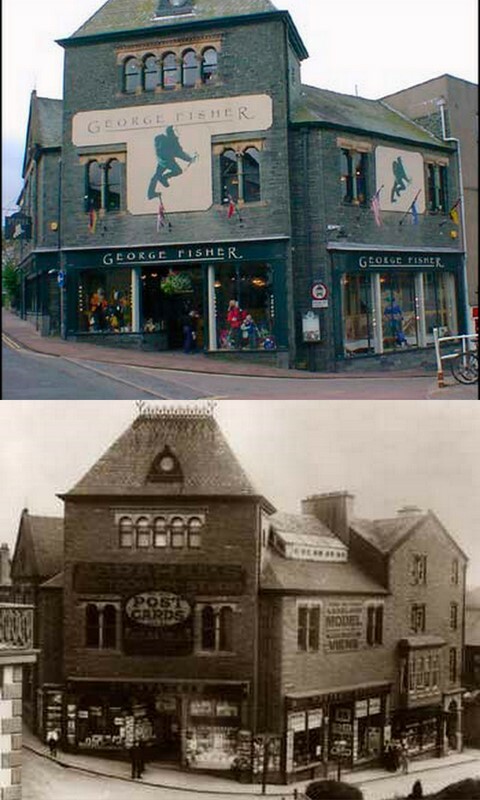 But these last two claims were disputed when he came to give a lecture about his Tibetan travels in the Queen’s Hall, London in 1909 by the greybeards of The Alpine Club, and the Royal Geographical Society; Martin Conway, Douglas Freshfield and Tom Longstaff. They also objected to his naming the whole region of his travels as the ‘Trans Himalaya’. This must have been an evening to remember! But nevertheless Hedin left the UK laden down with RGS Gold Medals, an honorary membership of that body and such degrees from Oxford and Cambridge. 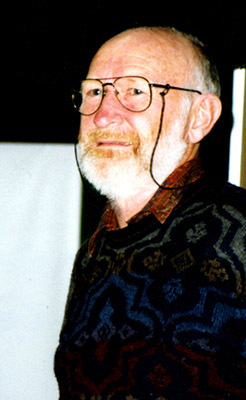 By this date he was the most famous Swede then alive, and few explorers have enjoyed such approbation, for as a renowned expert on Turkestan (Xinjiang) and Tibet; monarchs, politicians, geographical societies, and scholarly associations, all sought to purchase his exclusive knowledge about the power vacuum in Central Asia. None less so than the British who recognised him as an active player in addition to Nikolai Pzehevalsky, Sir Francis Younghusband, and Aurel Stein in the ‘Great Game’, the struggle with Russia for influence in that region, so vital to British interests and security in India. He was ennobled by the Swedish King, Knighted by the British with an Indian such title; he met with the Shah, the Czar, the Viceroy of India....George Curzon, the Panchen Lama, The Emperor of Japan, President Roosevelt, Chiang Kai-Shek, Hindenburg, and later Adolf Hitler. This was to be his undoing, his future affiliations with the latter and his support for the Third Reich, but he became so loaded with Honorary Degrees and Gold Medals, in the end 42 of these over the years, that he was certainly a figure in his heyday, who was greatly admired and respected as a pre-eminent one in his field.At the outbreak of the First World War his regard for Germany where he had received much of his education, caused him to support the Kaiser. He was an avowed Monarchist in his own country, and he felt honour bound to do this, but it really upset the greybeards once again, and they cancelled his honorary membership of the Royal Geographical Society. However to be fair to him, he wrote a diplomatic letter to that body, accepting their decision and declared his understanding of the position that this had placed them in. 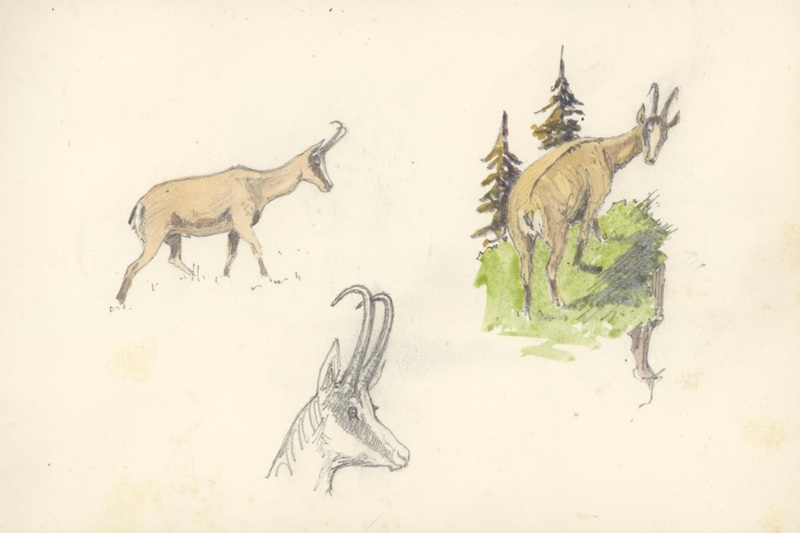 His fourth expedition 1927-1935 was on a grander scale than any of his previous journeys. This was to investigate the meteorological, topography, geology, and prehistory of the Gobi desert, including the part of that in Mongolia, and Xinijiang. This was made up of over 30 scientists from many disciplines including geologists, botanists, archaeologists, geographers, meteorologists, and zoologists from Sweden, Germany and China. Chiang Kai-Shek the Chinese leader was the patron and four postage stamps were issued by that country to celebrate this impressive undertaking, which are now highly prized by stamp collectors the world over for their rarity. The results of this expedition has relevance in China today, for Xinjiang was found to hold the largest deposits of natural resources in the country; iron ore, coal, oil, manganese, gold and much more; over a hundred minerals have now been found in the Province, the largest in China. From 1933 to 1934, Hedin led a group of Chinese scientists planning the best route for a road to run from Beijing to Kashgar. One site that had always intrigued him was the area around Lop Nur in the Gobi desert. Here there had been an ancient settlement, and a lake which literally ‘wandered’. 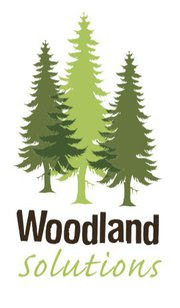 He made some very significant finds in this area, including ancient burial sites, and it was from near here that the world famous Loulan mummies were found. The BBC made a documentary about them, for they have confounded historians ever since their discovery for these people were taller, larger physically than any other such discoveries in that region, with fair hair and it is thought blue eyes, and are, at least 5000 years old. Where did they originate from? The Lop Nur Lake subsequently dried out and because of the roads built along Hedin’s planned route, became in 1971 the site of the Chinese nuclear weapon testing ground, set up there in a remote place in the eastern Gobi desert. In the 1930’s Xinjiang was an unstable place to travel, for besides the activities of local war lords, the Soviet army was making incursions into the Province. The Chinese 36th Division army, led by the Muslim General Ma Zhongying was engaged in combating them, but they were in retreat when Hedin and his caravan of trucks appeared on the scene, at which some of these were hi-jacked by Ma’s army of Tungan soldiers. Hedin and his companions escaped in their remaining vehicles but as they did so they were shot at; subsequently they managed to travel via the southern route of the Silk Road to Hotan and from there south again to Xi’an. In 1934 that must have been a challenging journey, for the first section is mountainous and the roads would have been at best rough riding. Finishing this incredible journey of thousands of miles in Nanjing which was then the site of the Chinese government, Hedin celebrated his 70th birthday in February 1935 in the presence of Chiang Kai-Shek and 250 members of his Kuomintang administration, to whom he reported the result of their researches, for which they awarded him as leader, ‘The Brilliant Jade Order’. The results of this expedition are still being researched in Universities as far apart as Germany and China. And, the subsequent reports are contained in many volumes. 1936 marked the year of the beginning of Hedin’s disastrous involvement with the German National Socialists. 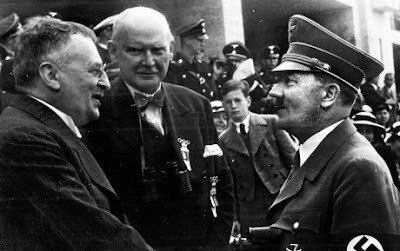 Hitler had been an early admirer of the Swede, whose-conservative and pro-German views eventually translated into sympathy for the Third Reich, and this would draw him into controversy that would last until his death in 1952. He was impressed by Hitler’s nationalism, and he interpreted the German leader’s rise to power as a revival of that countries fortunes; and a defence against the spread of Soviet communism which he felt threatened Sweden in a potential future invasion. The Nazis made a strong connection by bestowing awards upon him and an invitation to appear and speak at the 1936 Summer Olympics, where de delivered an address ‘Sport as a teacher’ to supportive crowds in Berlin’s Olympic stadium. In 1938 they presented him with that City’s ‘Badge of honour’ and on his 75th birthday in 1940 they awarded him with the ‘Order of the German Eagle’. He was not the only major world figure to be drawn into the National Socialist sphere, for just before he was given the 1940 award it was also bestowed on Henry Ford and Charles Lindbergh. Hedin supported the Nazis cause in his journalistic activities, and in books such as ‘With the German Armies in the West’ and ‘The Trail of War’, but during the conflict he was at home in Sweden, which unlike Norway and Finland remained neutral. Although groups in that country, such as the Swedish Red Cross aided the flight of Jewish refugees safely out of Denmark. Post the collapse of Nazi Germany, Hedin found himself more and more isolated, but he did not publicly regret his collaboration with them, and because of this co-operation it had been possible for him to intercede and make it possible to save numerous victims from execution or death in extermination camps. Investigators after the war found this to be true, and for instance he did manage to save ten Norwegian saboteurs from death by firing squad At Hedin’s plea their sentence was commuted to a life sentence. And so they survived the war to prove that this was so. At the end of the war, US troops confiscated the documents, material and surveys held by Hedin’s publisher in Germany, for his planned ‘Central Asia Atlas’. However the US Army Map Service found that this had such strategic importance, they later solicited his assistance and financed the printing and publication of this one of the Swede’s greatest achievements. He died in 1952, after living out the last years of his life in almost social isolation. Older people in Sweden do not wish to talk about him, but a new generation of Swedes led by such as Lars Larsson, who has organised two ‘in the steps of Hedin’ expeditions, are examining his life and contributions again. To come to some kind of balanced view about these matters, one is faced with a mountain of material; so far five biographies have appeared about the Swede, and a book by a holocaust researcher in the US blames him as a key supporter of the Nazis whose views helped to develop their ideology? He left behind over 60 books,of which some titles were widely translated and published around the world, many articles, plus diaries, 2500 drawings and watercolours, a library of photographs, films, travel and expedition notes. Besides his scientific papers and newspaper articles held in sixty bound volumes, and of course the maps. The geological specimens are held at Munich University, and other materials in China, but the mass of the Sven Hedin collection is held in the Museum of Ethnography in Stockholm. Life is a matter of luck, if a young boy in Sweden had not been taken to welcome home an Arctic explorer in the 1870’s, maybe he might have become a famous architect like his father? But we are all a product of our environment, events and times, and his youthful contacts with giants like Von Richtofen, and his love of Germany it seems almost inevitable that with his unforgiving personality he would move too close to National Socialism. 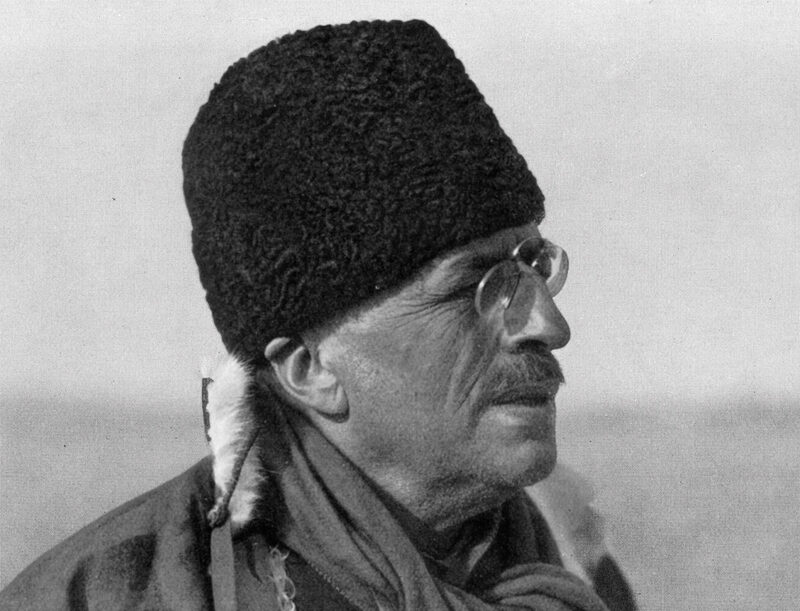 It is hard to feel pity for him, he was a towering figure in the history of Central Asian exploration, but maybe it is still too soon to forget his support for the terrible evil that was the Nazi regime and sympathy for its victims. I would like to thank Lars Larsson; and the Museum of Ethnography in Stockholm for their help in sourcing material for this essay.